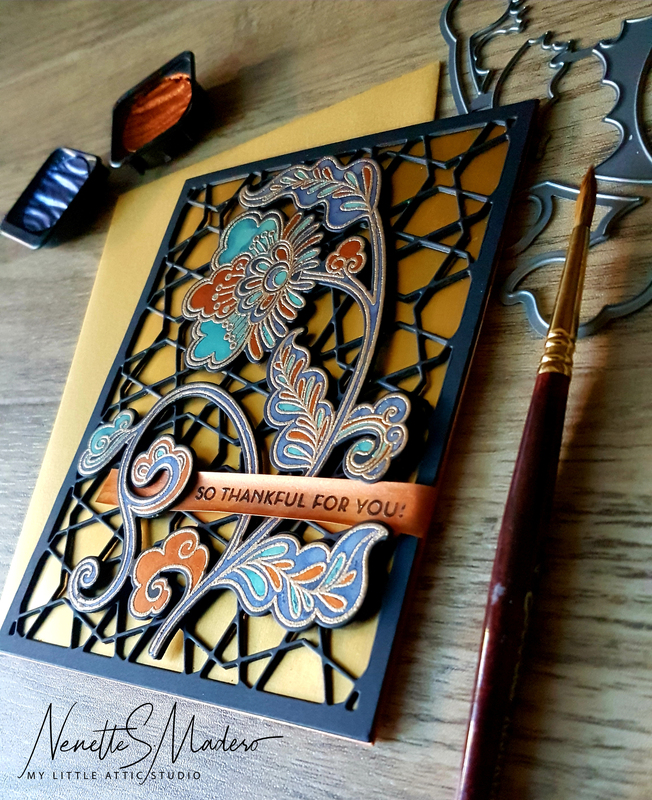 This see through card was inspired by my all time favorite idol, Ms. Jennifer Mcguire. 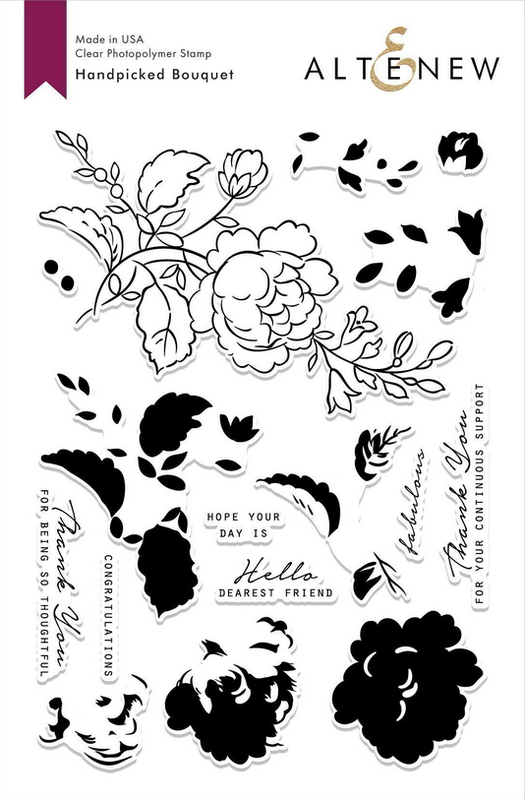 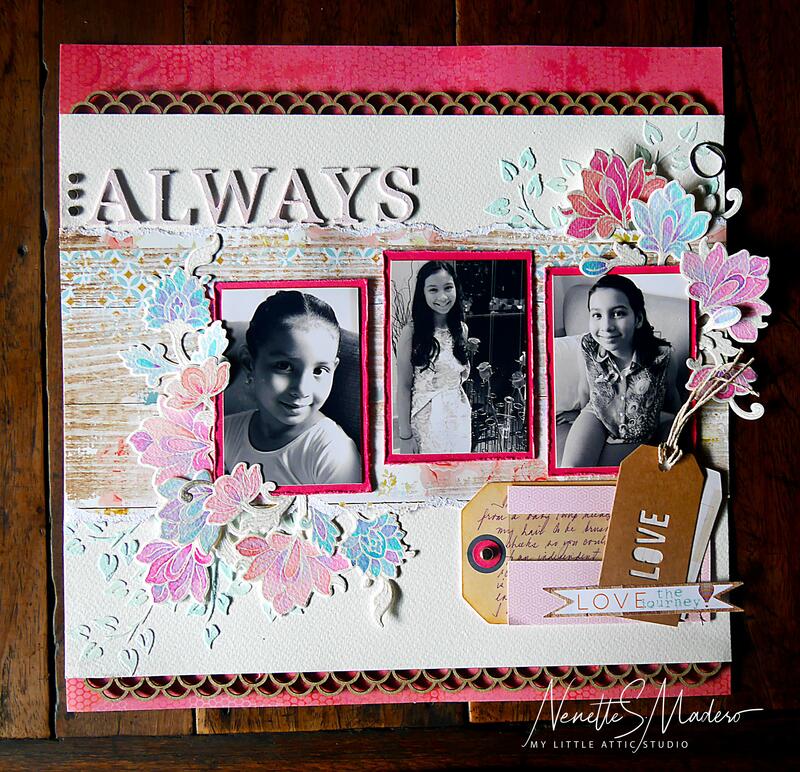 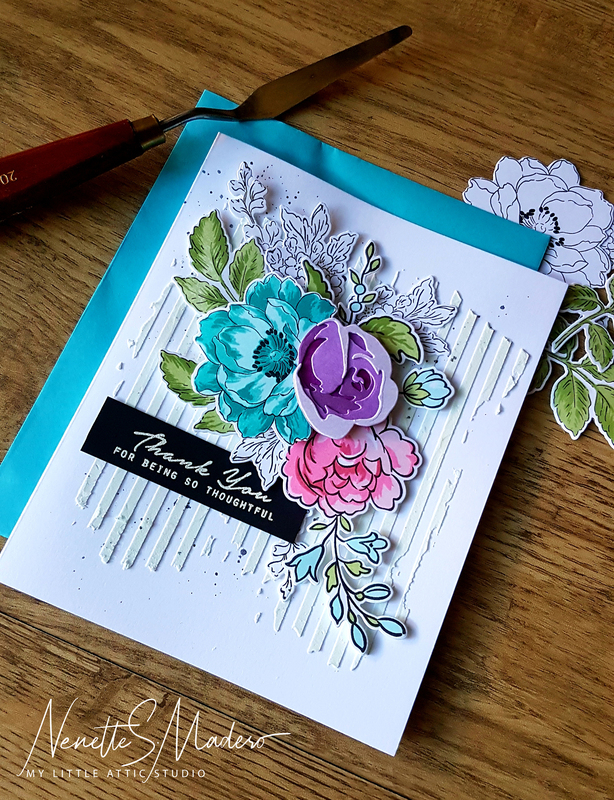 <3 I used the lovely Build a Flower Rose stamp set for the flowers and the leaves. 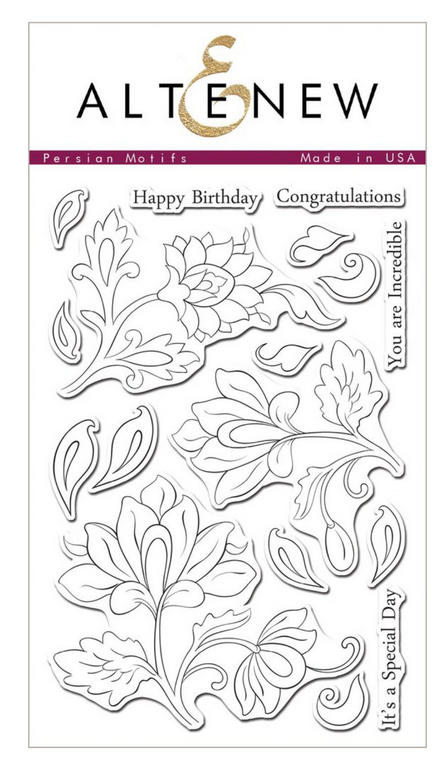 I love how it’s so easy to line up the layers of this stamp set. 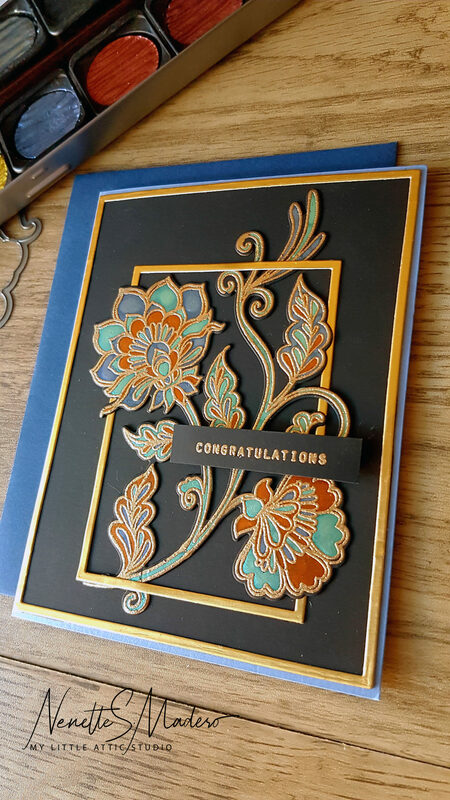 Here’s how it’s done. 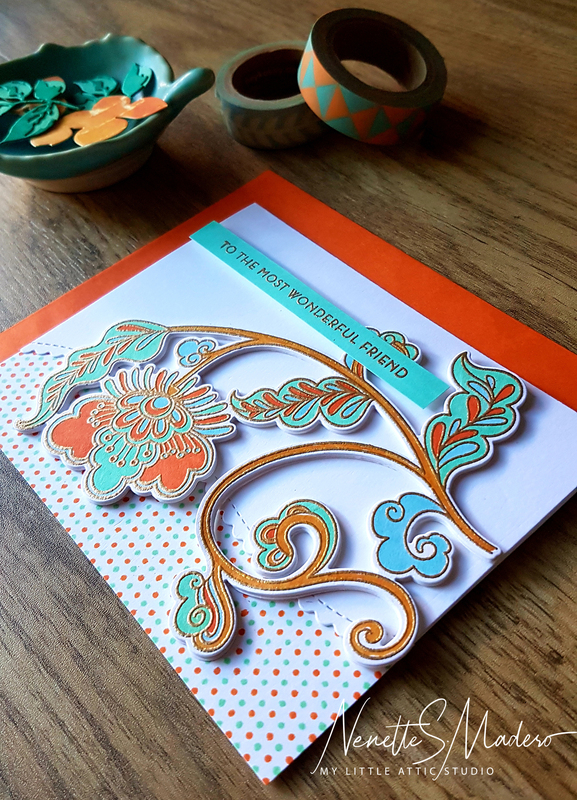 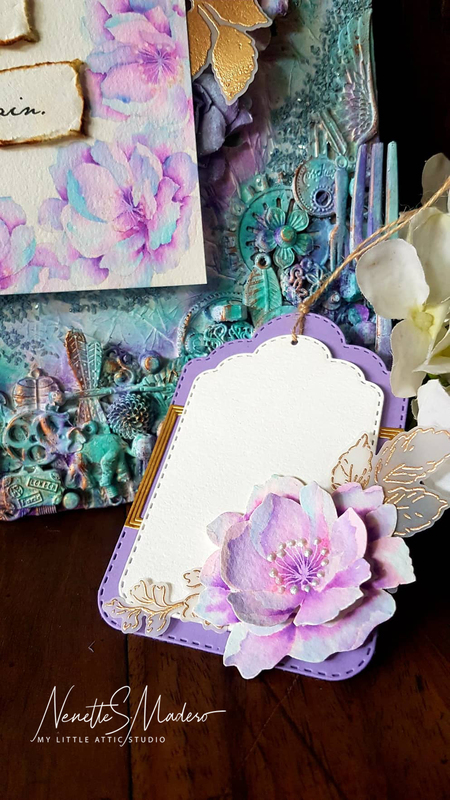 Sunkissed, Orange Cream, Autumn Blaze and Firebrick Altenew crisp dye inks were used to stamp several flowers while the leaves were stamped with Mountain Mist, Volcano Lake and Lagoon. 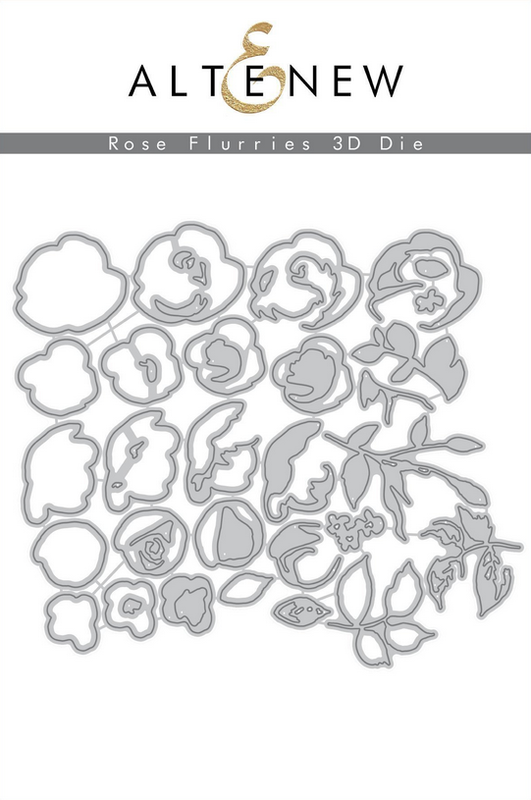 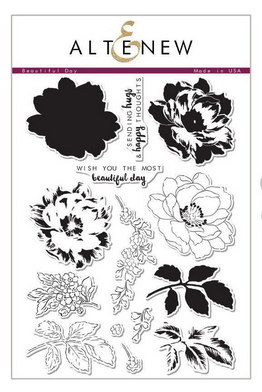 Cut out the flowers and leaves using the coordinating dies. 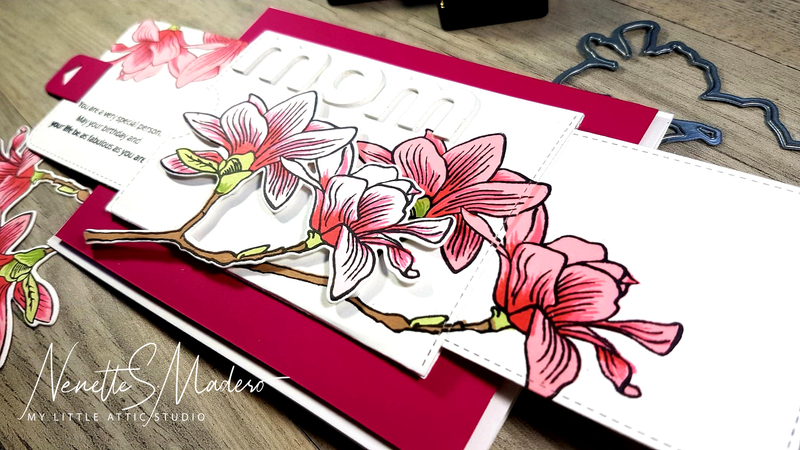 Arrange the flowers and leaves so that they touch each other making sure that the corners and parts of the edge of the cards are covered. 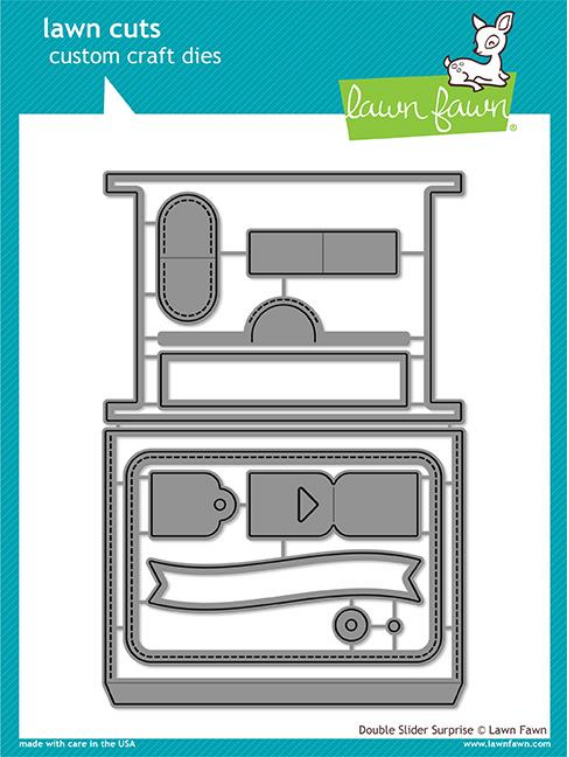 Score 1/4 of an inch from the top to create a hinge. 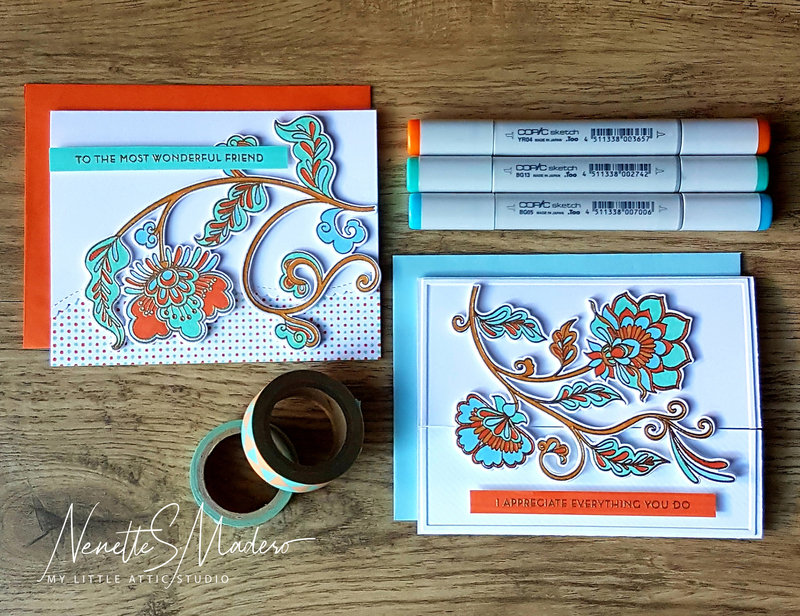 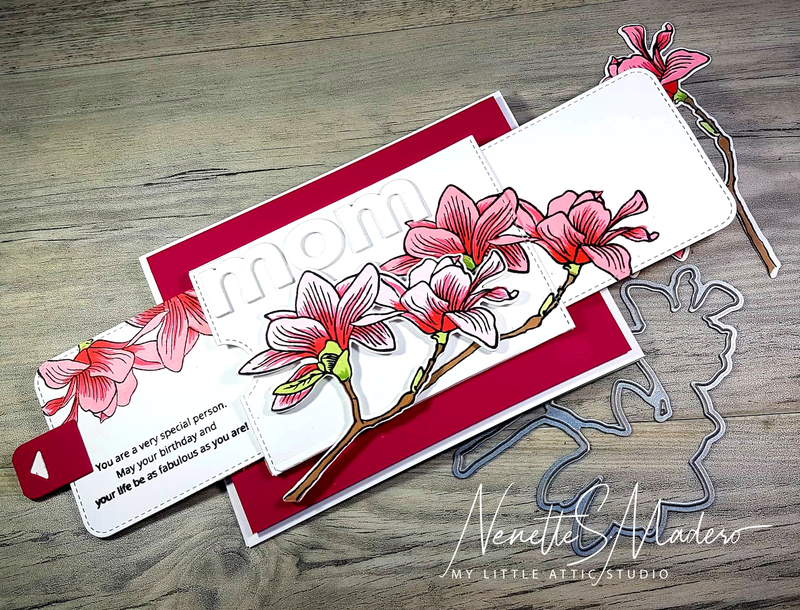 Add double sided tape and adhere to the back panel (white cardstock cut to 4.25″ x 5.5″ ) of the card to create a top folding card. 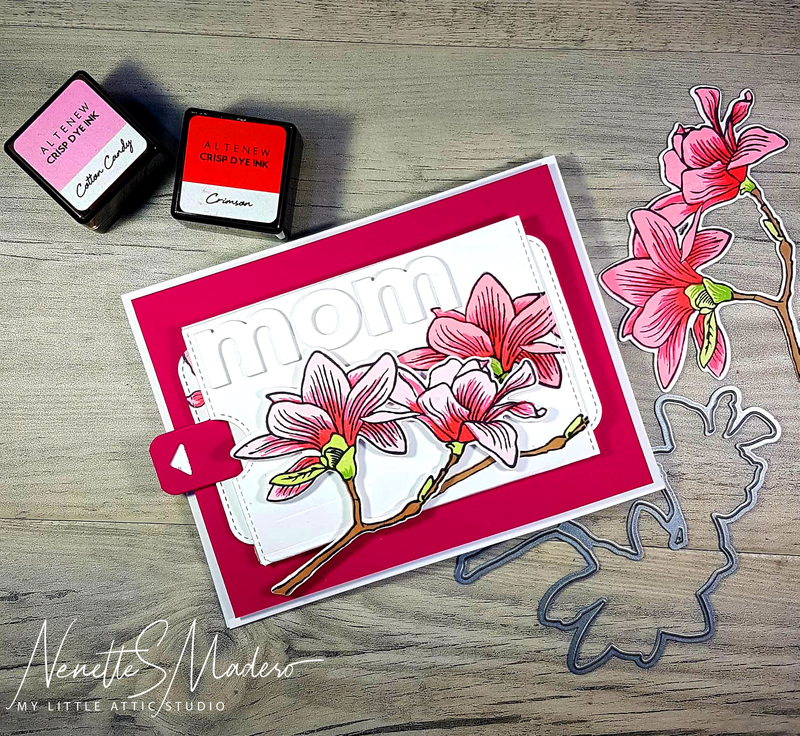 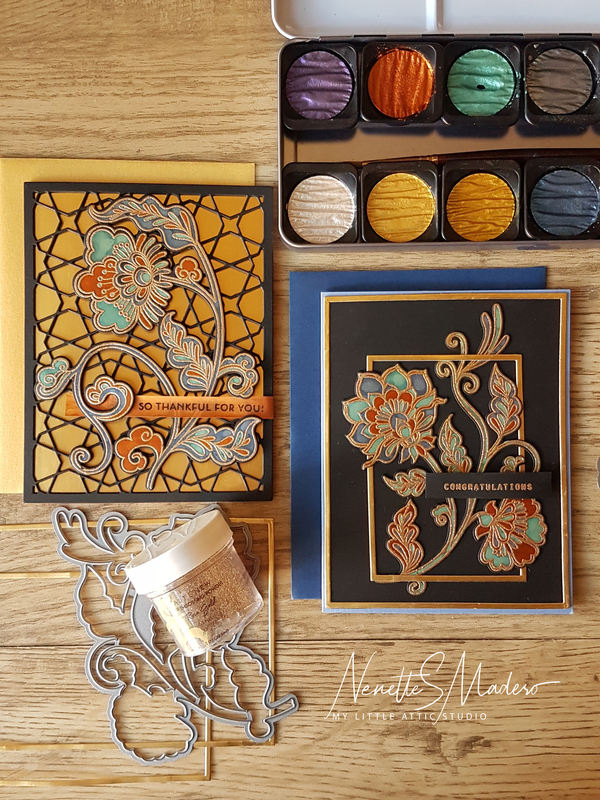 Emboss the sentiment using clear embossing ink and my all time favorite Rose Gold Crisp embossing powder. 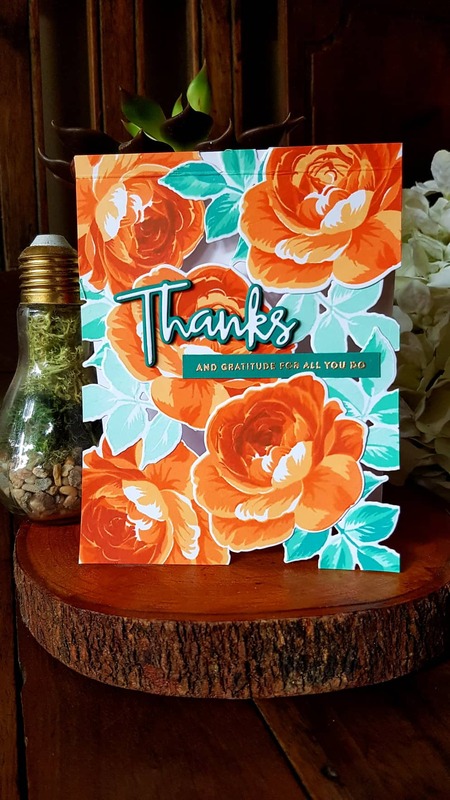 Die cut the Thanks script (from Simon Says Stamps) using white and emerald green cardstocks. 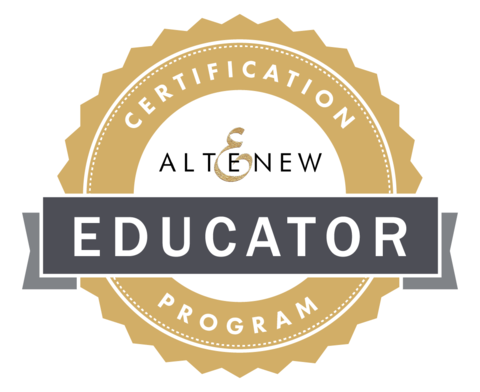 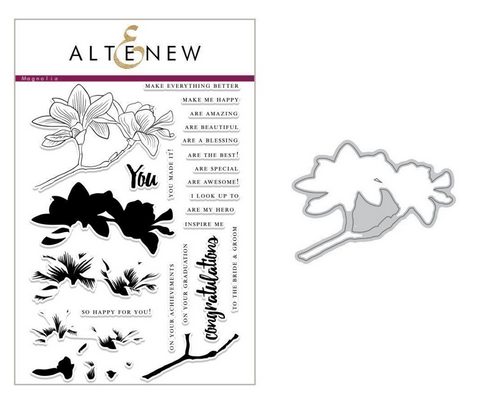 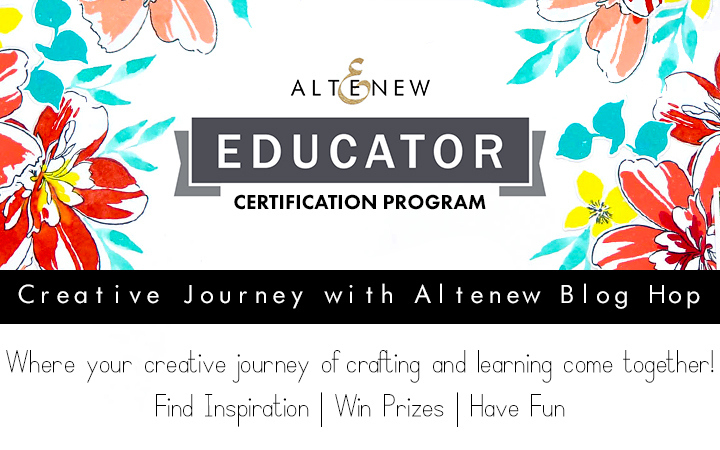 Do check out the Altenew Inspiration Challenge for the rules and prizes. 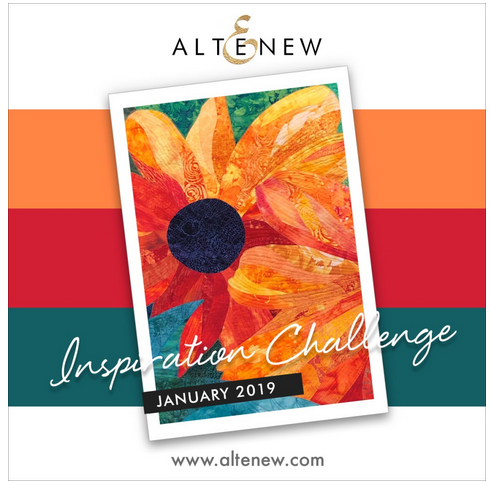 The Challenge ends on Thursday, January 31st, 2019 at 11:55 PM EDT. 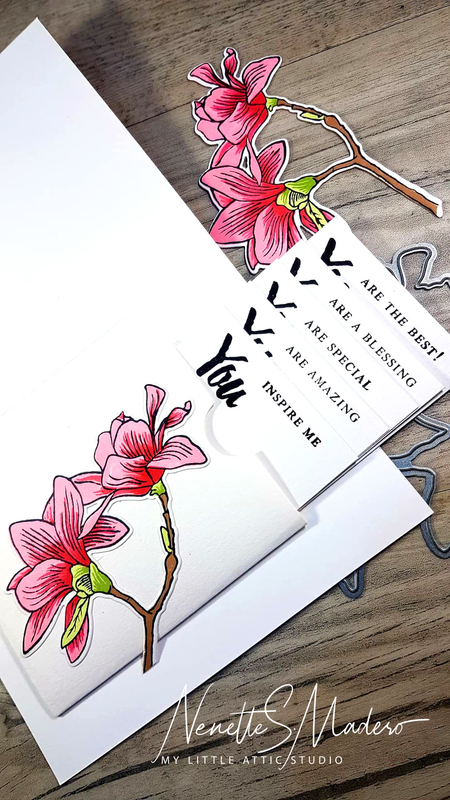 Hope you can join the fun!